Acupuncture first developed during the Chou dynasty (1030 BC to 221 BC) of Chinese history, as a system of therapy involving the needling of precise points on the body derived from the philosophical concepts of humanity and its relationship to the natural environment. The Warring States period (480 BC to 221 BC) of the Chou dynasty was particularly important for the incorporation of two major philosophical ideologies into the mainstream of Chinese thought, Confucianism and Daoism. One of the main beliefs of Confucianism was the sacrosanct completeness of the human body. The Dao of Daoism literally means the ‘Way’ to an integrated harmony of human beings with the forces of the natural world. The cyclic rhythm of these forces naturally balance and complement each other to create an environment favourable to life. The traditional concepts of Chinese medicine derived from Daoism maintain the necessity for regulation of each person’s essential bodily processes to accord with the need for natural harmony. Acupuncture, as a means of treating internal disease with external techniques, evolved as a necessary and important adjunct to these beliefs. Fundamental to acupuncture, and to Chinese philosophy in general, is the concept of energy. This energy, which seems to correspond to fluctuations in the body’s electro-magnetic field, is described as flowing along discrete pathways near the surface of the skin according to a diurnal cycle. Each pathway or channel of energy corresponds to a particular organ. Acupuncture points are specific locations on the channel that may be needled to affect the balance of its energy and thereby regulate the function of its corresponding organ. Evaluation of the exact nature and degree of energy imbalance resulting in disease is the aim of traditional Chinese diagnostic procedures. These involve precise sequential consideration of data obtained by clinical observation, interrogation (to obtain a detailed case history), palpation of the pulses and tongue diagnosis. Diagnostic information is applied by the practitioner to select a small number of appropriate points for needling according to a complex set of criteria and priorities. Acupuncture has shown itself to be a remarkably effective and safe form of therapy when applied with a rigorous adherence to traditional Chinese medical concepts by well-trained practitioners. Western and Chinese scientists are currently undertaking research into the scientific basis of acupuncture. 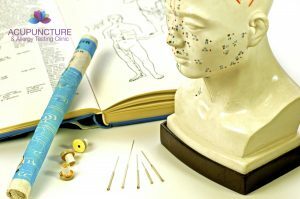 Though the exact mechanisms of acupuncture are not fully understood from a Western scientific viewpoint, traditional acupuncture remains an effective modality, distinct from all others in its unique philosophical and physiological comprehension of life. Recent research now indicates that acupuncture causes the body to produce endorphins, the body’s natural pain reliever. Research also shows that it can have beneficial effects on the body’s immune system and endocrine system.